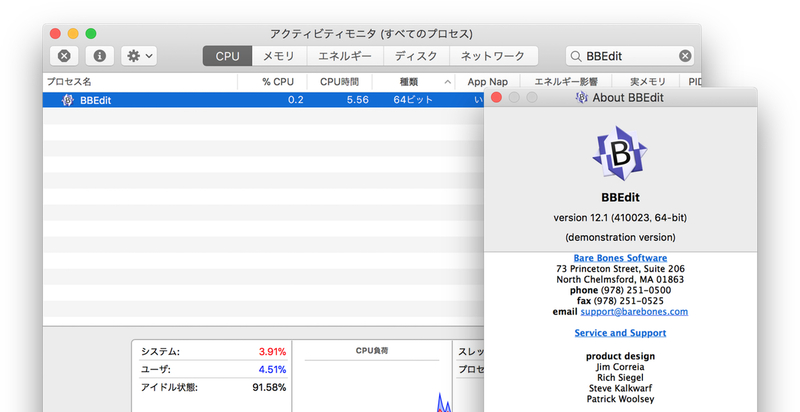 Bare Bones、64-bit化されたMac用多機能テキストエディタ「BBEdit v12.1」のStable Beta版をリリース。 | AAPL Ch. Also, there's a new stable beta of 64-bit BBEdit. 32-bit compatibility: Since Apple has explicitly stated that macOS High Sierra will run 32-bit applications, there is no immediate compatibility concern. A 64-bit version of BBEdit is currently in public beta testing. Please check the @bbedit Twitter feed or the BBEdit-Talk discussion group for the most recent stable pre-release version.